which called Hoi On Cafe. 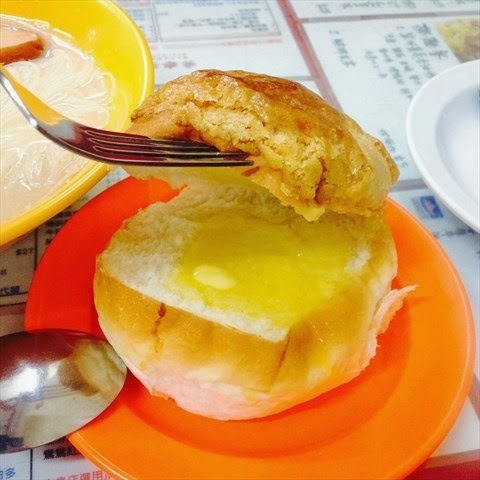 Tea House is another Hong Kong style restaurant that you can't miss besides Dai Pai Dong. 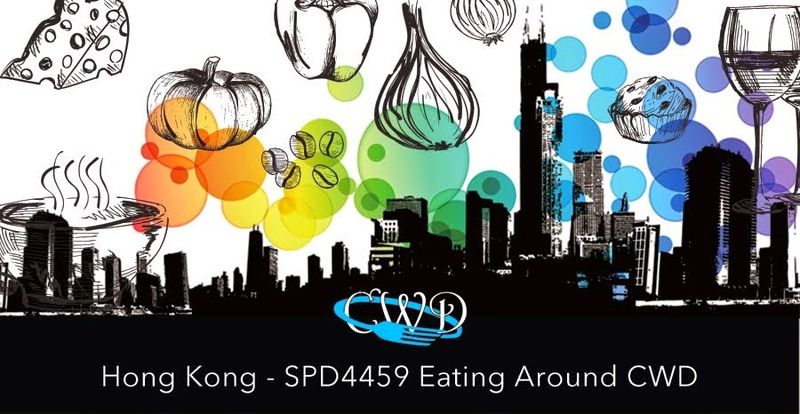 Sheung Wan is an aging district in Hong Kong, we can easily find those nostalgic tea house in this area. Let's go to the food part! Someone may think this restaurant is too old that, it is not attractive at all. However, the food is very delicious. Not believe that? Please continue to read my article! 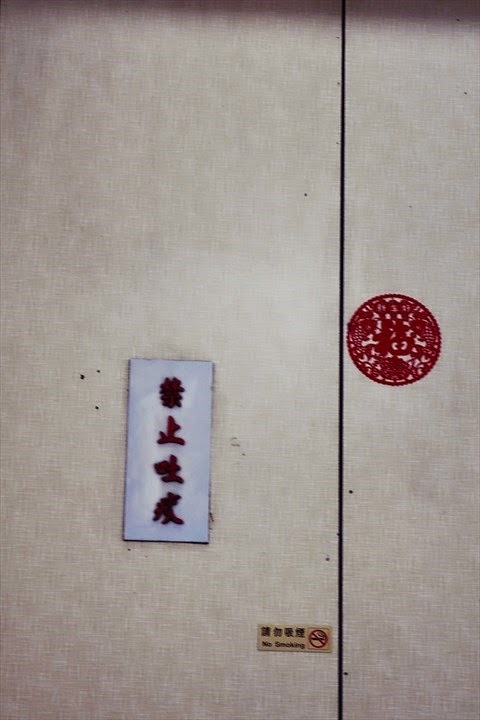 "No splitting" is a traditional slogan in Hong Kong. This is because in the old time, people get used to smoke. Sometimes they would split in order to clear their throat, so restaurant put some sign to remind people not to split. 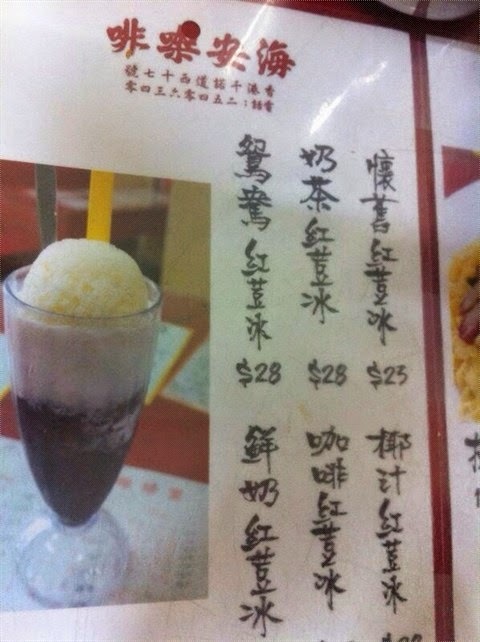 If you want to have a special drink, try "Yuanyang Red Bean Ice Drink" (Top left). 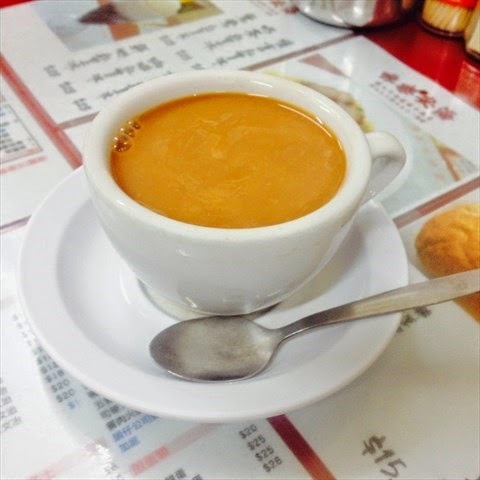 YenYang is a mixture of milk tea and coffee, which is invented by Hong Kong people. Taste special and unique! 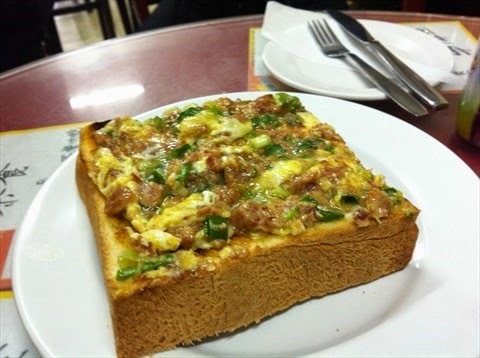 Delicious thick toast, cannot be explained by words! The beef egg is very smooth, and it smells good from the spring onion. 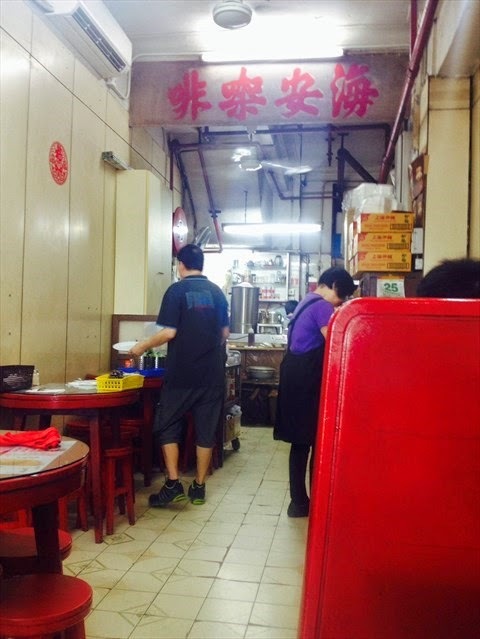 Another thing that you cannot miss is the milk tea. The ratio of milk and tea is perfect. For me, i love to order more milk! 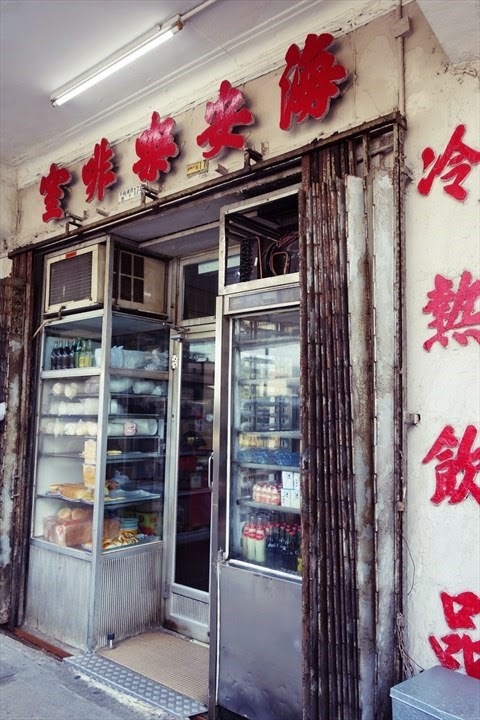 In these old style tea houses, you may request condensed milk in stead of evaporated milk.